MAGIX Entertainment Vegas Pro 14 is updated with highly-relevant new features, including Apple ProRes support. 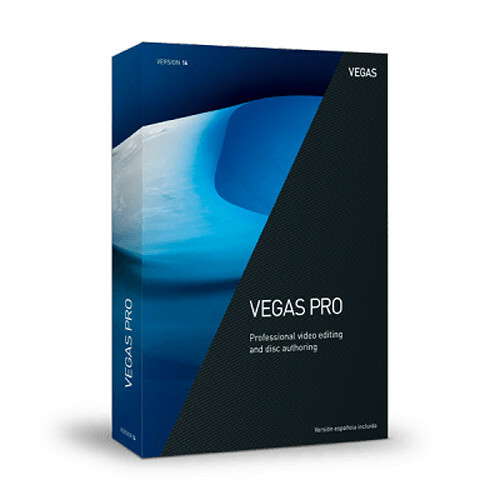 Vegas Pro 14 comes with Vegas DVD Architect, NewBlueFX Looks, Nativ + NewBlueFX Titler Pro Express, and Native + proDAD Mercalli V4. Note: This 5-99 License version requires a purchase of 5 to 99 units. Internet Connection Required for registering and validating the program, as well as for some program functions. Program requires one-time registration.